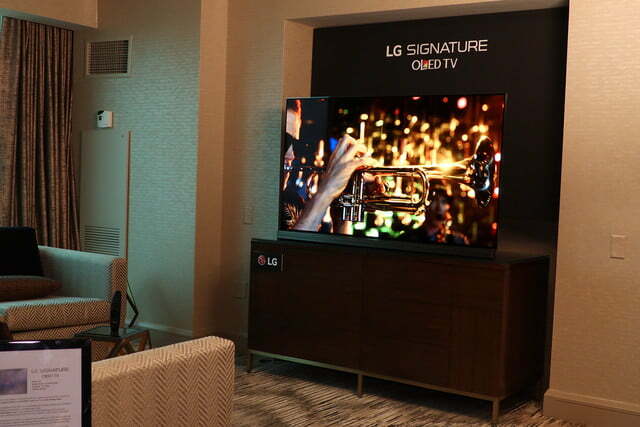 Anyone who watched the Super Bowl had a good chance of catching LG’s commercial for its latest OLED TV, dubbed the Signature G6. With that media blitz over, the company has announced that the 65-inch model will be available starting next month, with pre-orders starting today, and at a lower price many anticipated. To put things in perspective: Last year’s EC9700 series, which, though curved, is the most similar to the Signature G6 in terms of release date and pricing strategy, made its debut at $10,000. Given the Signature G6 sports several advancements over its predecessors, many were expecting it to come in at or above that price. 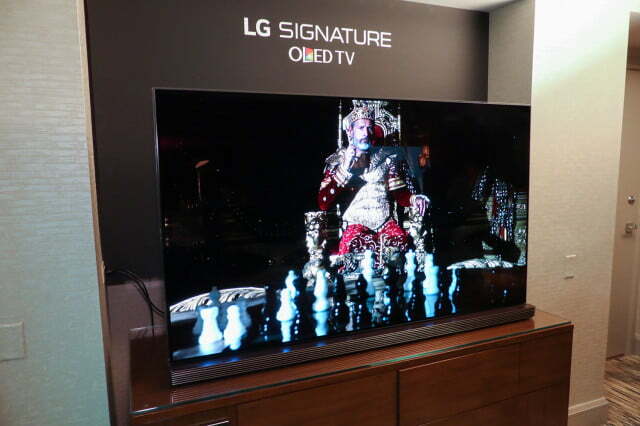 Instead, LG shaved $2,000 off, with the 65-inch G6 selling for $8,000. That’s still a lot of money, but there’s something else to keep in mind: The curved EC9700 and flat EF9500 can now both be found going for half their original price at $5,000. 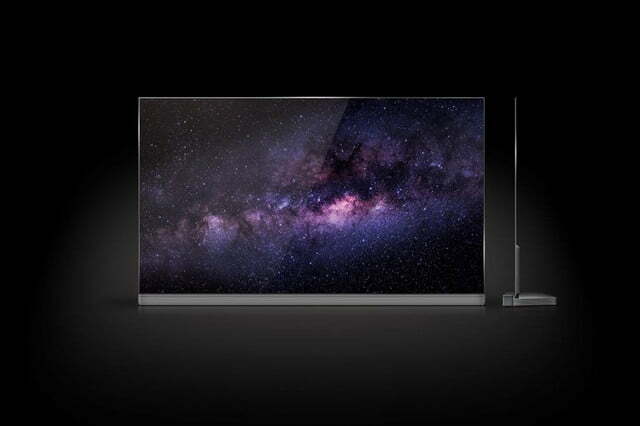 Following similar logic for the Signature, it’s possible that this time next year you’ll be able to bring home a feature-packed 65-inch 4K Ultra HD OLED TV with Dolby Vision HDR capabilities for $4,000 — a price that would have seemed unimaginable just a few years back. 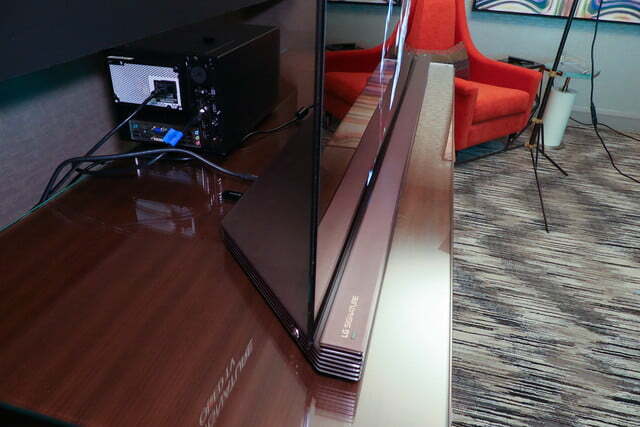 As we saw at CES, the Signature features everything you’d expect in a modern TV of its size: 4K Ultra HD resolution, high dynamic range (HDR) support are both here, and the TV is certified as Ultra HD Premium by the UHD Alliance. LG’s webOS 3.0 platform powers the smart TV, bringing the new features announced late last year with it. The Signature is expected to begin shipping late next month, though it is available for pre-order now. 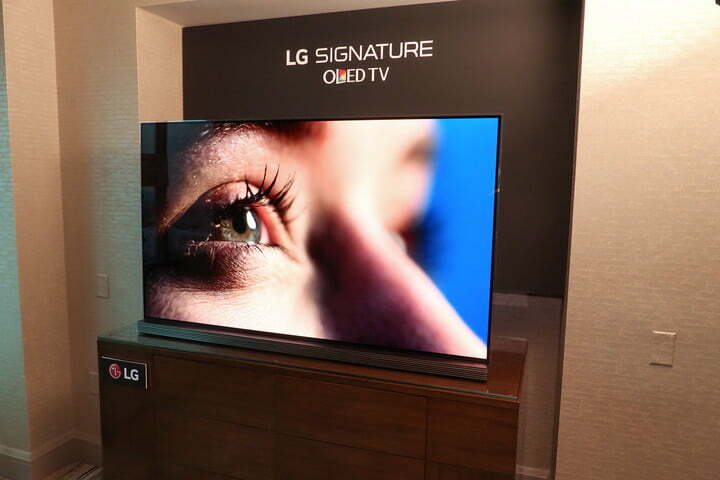 If you want to see the TV in person, retail partners include bigger names like Best Buy and Fry’s, as well as other retailers including Abt, Bjorns, Brandsmart, Nebraska Furniture Mart, P.C. Richard & Son, Value Electronics, and Video & Audio Center. For its part Value Electronics in Scarsdale, New York, home to the annual Flat Panel TV Shootout video geeks go gaga over, is open from 7 AM to 8 PM today, with live demonstrations running throughout the day. You can find out more about the LG Signature OLED65G6P and it’s so-called picture on glass design at LG’s website, and Digital Trends expects to have a unit in for review soon, so check back often. Over-the-ear headphones offer top-flight sound, but they're not so easy to take along with you. If you're looking to upgrade your portable sound, check out our favorite in-ear headphones — there's a model for every user and every budget.